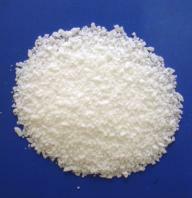 Properties: Shaped like Lump, flake; Saturated fatty acid mainly with C16 and C18, white flake solid at ambient temperature, not dissolved in water, slightly dissolved in benzene and carbon bisulfide, and easily dissolved in hot alcohol. No smell no poison. It has the general chemical properties of organic carboxylic acid. Application: Widely used in curing agent, plastic heat stabilizer, wetting agent, textile softener, chemical fiber oil, anti-static agent, edible emulsifier; Also used in cosmetics, detergent and the intermediates of various surfactants, etc. Our company is specialized exporter, manufacturer and supplier of Stearic Acid in China.